Administrative Law Judge (ALJ) Suzanne Brown, Office of Administrative Hearings (OAH), Special Education Division, State of California, heard this matter on December 18-20, 2006, in San Mateo, California. Attorney Susan Foley represented the Petitioner Student. Student’s mother attended the hearing on Student’s behalf. Legal assistant Linda Hughes also attended the hearing. Attorney Laurie Reynolds represented Respondent San Mateo Union High School District (District). Marvin Meyers, Director of Special Education, attended the hearing on the District’s behalf. Attorney Emily Ross also attended the first day of hearing. On July 19, 2006, Student filed with OAH a due process hearing complaint (Complaint). On August 25, 2006, OAH continued the initial hearing date, which had been scheduled for September 13, 2006. Following a trial setting conference (TSC) on September 26, 2006, OAH rescheduled the hearing for December 18-21, 2006. At the hearing on December 18, 19, and 20, 2006, the ALJ received sworn testimony and documentary evidence.1 Upon receipt of the written closing arguments on January 8, 2007, the record was closed and the matter was submitted. 1 Pursuant to discussion on the final day of hearing, the curriculum vitae of Dr. Patrick Conway is also admitted into evidence as Student’s exhibit 13. 2 Also in September 2002, Ms. Rianda’s classroom assistant conducted a classroom observation of Student. 3 For the second semester, Student attended a general education English class instead of a special education class. 4 The Juvenile Court’s Findings and Orders included additional orders, such as that Student pay a restitution fine to the supermarket in the amount of $25. 5 Ascent, Rocky Mountain Academy, and CEDU High School were all operated by the same company, the CEDU organization. 6 Ms. Rianda testified that she did not recall whether she had conducted the environmental assessment in 2002, or whether another District employee had. Given that Ms. Rianda testified about this topic approximately four years after the completion of the assessment plan, her lack of recollection is not particularly indicative of whether or not District staff conducted the assessment. 7 The referral to Mr. Bautista for truancy was separate from Student’s Juvenile Court probation related to the May 2003 supermarket theft. 8 Student’s mother also tried to improve Student’s school attendance. For example, she drove Student to school in the mornings, and would periodically call Student on his cell phone during the day to check that he was in school. 9 The District also points to Student’s receipt of on-site counseling following the October 2002 referral to the school safety advocate. However, it is not clear whether those services were made available to Student during the 2003-2004 school year. b. meet Student’s unique needs for behavioral and mental health services? e. meet Student’s unique speech and language needs in the areas of dysfluency, and expressive, receptive and pragmatic language skills? 3. If the District denied Student a FAPE, is the Student’s mother entitled to reimbursement for private school placements from March 2004 to June 2006, and related transportation costs? 1. Student is nineteen years old and, during all times at issue in this case, was a resident within the boundaries of the District. He was eligible for special education services due to a primary disability of specific learning disability (SLD), and also met the criteria for speech-language impairment (SLI). In June 2006, he received a high school diploma from Mount Bachelor Academy, a private residential school in Oregon. 2. For his elementary school years, Student attended public schools, where he was found eligible for special education beginning in third grade. Student continued to be eligible for special education in middle school, which he attended in the San Mateo-Foster City School District. 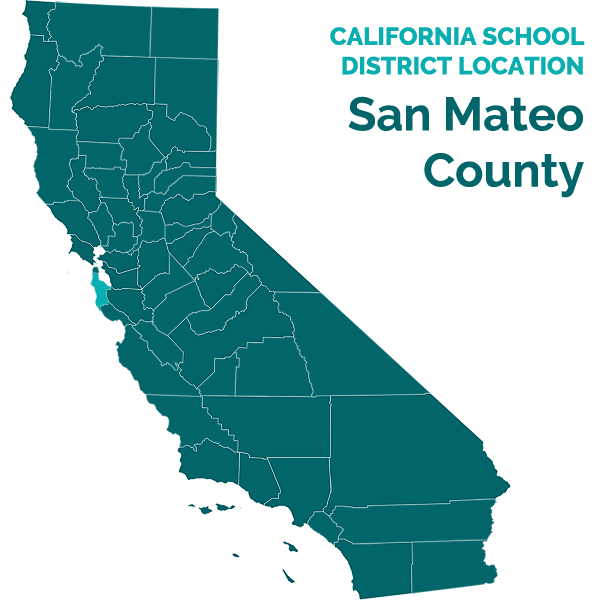 When he entered the San Mateo Union High School District for ninth grade, his IEP provided that his primary disability was SLD, with a secondary disability of SLI. 3. For the 2002-2003 school year, Student attended ninth grade at the District’s Hillsdale High School (Hillsdale). Student’s triennial reassessment was due in November 2002. In September 2002, District school psychologist Christina Hadley reviewed Student’s school records and spoke with his teachers. Pam Rianda, Student’s counselor and SDC teacher for three classes, tested Student’s academic levels by administering three diagnostic tests, including the Wide Range Achievement Test (WRAT), to measure his academic levels.2 However, Ms. Hadley and Ms. Rianda agreed that additional retesting was not necessary because Student’s eligibility remained the same. For this reason, Ms. Hadley recommended to Student’s mother that the District not conduct further retesting, and Mother did not request any additional testing. 4. On October 4, 2002, Student’s IEP team convened for Student’s triennial review. The team members agreed that Student’s eligibility remained the same, and that his placement and designated instruction and services (DIS) would remain the same: special day class (SDC) placement for three to four classes; general education for elective classes, physical education, and lunch; and DIS of speech-language therapy for three sessions per month.3 The IEP also included accommodations such as extended time on tests and the opportunity to give oral presentations in private with the teacher. The IEP notes reflect Student’s problems with attendance, punctuality, motivation, anger, and defiant behaviors; the IEP team members agreed to refer Student to the school’s anger management group. 5. On October 17, 2002, Ms. Rianda completed the form to refer Student to the school safety advocate, for participation in the anger management group. On November 12, 2002, the IEP team convened to develop a behavior support plan (BSP) to address Student’s problem behaviors in the classroom. In January 2003, Student completed his first semester of ninth grade with a grade point average (GPA) of 1.0. 6. In a letter dated April 8, 2003, Student’s mother requested an IEP meeting to discuss changing Student’s classroom placement and counselor, due to concerns about Student’s ability to work with Ms. Rianda. On May 1, 2003, the IEP team convened to discuss the proposed changes. After discussion of how Student was performing at school, the IEP team members, including Student’s mother, agreed not to change Student’s placement or counselor. Notes of the meeting indicate that Student’s negative behaviors remained significant and continued to interfere with his educational progress. During the discussion, Student’s mother indicated that Student was in therapy with a private therapist. 7. On May 15, 2003, Student was arrested for stealing beer from a supermarket in San Mateo. This incident led to subsequent prosecution in the Juvenile Court; as discussed further below, in March 2004, the Juvenile Court adjudged Student to be a ward of the court. In June 2003, Student completed his second semester of ninth grade with a GPA of 0.667. 8. In July and August 2003, Student attended a summer school English class and earned a “C” grade, which raised his overall GPA. His disciplinary record does not reflect any disciplinary referrals during this summer. 9. For the 2003-2004 school year, Student was in tenth grade at Hillsdale. Special education teacher Jessica Hahn taught two of Student’s SDC classes, and was also his counselor. Student got along well with Ms. Hahn and demonstrated improved behavior at school. During this time period, Student did not receive any disciplinary referrals related to disruptive behavior, verbal harassment of other students, or related behaviors he had manifested in ninth grade. Instead, his main behavioral problem in tenth grade was repeated truancy. 10. Student’s IEP team convened for its annual meeting on November 13, 2003. The IEP notes indicate that Student was failing all of his classes due to excessive absences. Student’s speech therapist reported that Student had made no progress on his speech goals because he failed to attend his speech therapy sessions. Due to Student’s attendance problem, the IEP team changed his DIS from weekly speech therapy to speech consultation, to maximize his time spent in his classes. The IEP team also developed a BSP to address Student’s truancy. The District members of the IEP team were not aware of the May 2003 theft or Student’s involvement with the Juvenile Court system. 11. In January 2004, Student completed his first semester of tenth grade with a GPA of 1.187; he received two Cs, two Ds, a D-, and an F. On March 4, 2004, the Juvenile Court sustained the charge of petty theft, and adjudged Student to be a ward of the court pursuant to California Welfare & Institutions Code section 602. The Court sentenced Student to 60 days of detention in Juvenile Hall, but stayed that sentence and instead allowed Student to attend Rocky Mountain Academy at his parents’ expense.4 In mid-March 2004, Student left California to attend the Ascent Therapeutic Adventure Program (Ascent), a six-week wilderness program located in Idaho. The Ascent program included counseling, physical education, cooking, wilderness training, and English/journal writing, but did not include other academic classes. 12. Thereafter, Student did not return to attending school in the District. On or about March 22, 2004, Student’s mother telephoned Ms. Hahn to inform her that Student would not be returning to Ms. Hahn’s class because he was attending the Ascent program in Idaho, and would thereafter be attending Rocky Mountain Academy over the summer. 13. At Ascent, Student revealed that previously he had been regularly smoking marijuana and drinking alcohol. In May 2004, Student completed the Ascent program. The Ascent staff recommended that attendance at CEDU High School (CEDU) would be more appropriate for Student than Rocky Mountain Academy.5 The Juvenile Court accepted that recommendation and ordered Student to attend CEDU in San Bernardino County, California. Student attended CEDU from May 2004 to March 2005. 14. Student remained at CEDU until approximately March 26, 2005, when the school closed due to bankruptcy. As a result, Student left CEDU and returned to his family’s home in San Mateo. He remained at home for several weeks while his mother, in consultation with his probation officer, Patricia Pritchard, attempted to locate a new placement for him. Student’s mother did not ask the District to find a placement or otherwise notify the District about the need for a placement. In May 2005, Student began attending Mount Bachelor Academy (Mt. Bachelor), a private residential school in Oregon. Initially, Student was not motivated to do his academic work at Mt. Bachelor, but his motivation changed after a telephone conversation with his probation officer in California. In June 2006, Student received a high school diploma from Mt. Bachelor. Thereafter, he returned to his family’s home in San Mateo and began attending community college and working part-time at a supermarket. 15. Throughout the period of Student’s attendance at Ascent, CEDU, and Mt. Bachelor, Student’s mother did not ask the District to fund Student’s residential placements. In July 2006, Student’s due process complaint notified the District that Student’s mother was seeking reimbursement for the costs of the residential placements, including related transportation expenses. 16. Student contends generally that the District failed to assess his behavioral needs. Specifically, Student alleges that the District failed to conduct an environmental assessment prior to drafting the November 2002 BSP, causing the IEP team to draft that BSP without sufficient information about how Student’s “undesirable behaviors were functioning for him.” A pupil must be assessed in all areas related to his or her suspected disability. Preliminarily, it bears repeating that any failure to assess is at issue only to the extent that it affected the Student on or after July 19, 2003. It is unclear whether the District conducted the environmental assessment in November 2002.6 However, the team members at the November 2002 meeting identified Student’s behavior problems, such as disruptive behavior and verbal harassment of other students, and drafted a BSP to address those behaviors. Pursuant to Factual Findings 8 and 9, at least by the beginning of the 2003-2004 school year, Student’s disruptive behaviors had significantly decreased. In light of all evidence, any issue regarding the November 2002 environmental assessment did not constitute a failure to assess Student’s behavioral needs as of July 2003. 17. The remaining question is whether the District was legally obligated to conduct further assessment of Student’s behavioral needs related to his truancy. Student’s Complaint alleges that the District should have conducted a functional analysis assessment (FAA) or a functional behavioral assessment (FBA). Student’s behavior was not self-injurious, assaultive, or the cause of serious property damage, and thus did not constitute a “serious behavior problem” requiring an FAA and behavioral intervention plan (BIP). However, pursuant to Factual Findings 9 and 10, Student’s failure to attend school was a significant problem in fall 2003, and it significantly impeded his learning. In the case of a child whose behavior impedes his or her learning or that of others, the IEP team must consider, when appropriate, “strategies, including positive behavioral interventions, strategies, and supports to address that behavior.” In November 2003, the team members identified Student’s truancy behaviors and, through drafting the BSP, identified strategies to address those behaviors. Although an FBA concerning Student’s truancy behaviors would likely have been beneficial, the law did not require the District to conduct an FBA, and Student did not establish that an FBA was required. (Cf. 34 C.F.R. § 300.520(b)(1)(i) (1999).) Thus, the absence of an FAA or FBA did not constitute a failure to assess Student’s behavioral needs. 19. The District argues that the behavioral interventions it provided pursuant to the November 2003 BSP were designed to address his truancy behaviors and thereby allow him to receive educational benefit. In contrast, Student contends that the District’s interventions were insufficient; however, other than mental health services, at hearing Student did not identify what behavioral interventions the District should have utilized instead. The November 2003 BSP included a daily check on Student’s planner, one-to-one work on assignments, a weekly progress report, and positive reinforcement for attendance. Ms. Hahn also sent a referral for Student to Glenn Bautista, a County probation officer who handled truancy issues at Hillsdale.7 On various occasions when Student did not show up for her class, Ms. Hahn would call Student on his cell phone to tell him to come to class.8 Ms. Hahn also telephoned Student’s mother on some occasions when Student was not in school. 20. After implementation of the BSP, Student’s attendance improved somewhat. In January 2004, Student completed his first semester of tenth grade with a GPA of 1.187; he received two Cs, two Ds, a D-, and an F. Testimony from Ms. Hahn established that, given that Student had been failing all of his classes as of mid-November 2003, these grades demonstrated improved attendance and performance. 21. A local educational agency (LEA) may refer a pupil for community mental health services when the pupil has emotional or behavioral characteristics that: (1) are observed by qualified educational staff in educational settings and other settings as appropriate; (2) impede the pupil from benefiting from educational services; (3) are significant as indicated by their rate or occurrence and tendency; and (4) are associated with a condition that cannot be described solely as a social maladjustment or a temporary adjustment problem, and cannot be addressed with short-term counseling. Moreover, the LEA must first have provided appropriate services, such as counseling or behavioral intervention, and the IEP team has determined that the services do not meet the individual needs of the pupil, unless the IEP has documented that such services would be inadequate or inappropriate. 22. During the time period at issue, the significant, frequent behavior that was impeding Student from benefiting from his education was truancy. By itself, truancy is not associated with a condition requiring mental health services. Testimony from Student’s teachers established that they did not observe Student exhibit behaviors that would have suggested a need for mental health services. While the witnesses who worked with Student in his private placements following his withdrawal from Hillsdale testified that Student would have needed mental health services at Hillsdale, these opinions were speculative. None of these witnesses were familiar with Student’s placement or services at Hillsdale. Moreover, Mr. Moffitt and Dr. Conway both worked with Student more than two years after he left Hillsdale, and were not knowledgeable about his functioning during the 2003-2004 school year. In light of all evidence, the BSP interventions and referral to the truancy officer were designed to address Student’s truancy behaviors, and the evidence did not establish that he needed mental health services.9 While Student may have benefited from additional measures, the lack thereof did not constitute a denial of FAPE. 23. At the November 12, 2003 IEP meeting, the team members in attendance included Ms. Hahn, Ms. Rianda, speech-language pathologist Lisa Fox, a District administrative representative, Student, and Student’s mother. Student contends that the failure to have a school psychologist attend the meeting constituted a procedural violation because the IEP members in attendance lacked experience and training in behavior modification. However, Ms. Hahn and Ms. Rianda both established in their testimony that their education and training included training in drafting BSPs. While a school psychologist’s participation in drafting a BSP would likely have been helpful, neither state nor federal law required it. For a pupil suspected of having a learning disability, at least one member of the [IEP] team shall be qualified to conduct individual diagnostic examinations of children, such as a school psychologist, speech-language pathologist, or remedial reading teacher. 25. However, the Code of Federal Regulations clarifies that a school psychologist’s attendance is required only when determining eligibility under the SLD category. Because Student’s SLD eligibility had already been established and was not in question, the November 2003 IEP team did not need to include a school psychologist. Additionally, other members of the IEP team were qualified to conduct individual diagnostic examinations. Hence, the absence of any school psychologist at the November 2003 IEP meeting was not a procedural violation. Given that no violation occurred, this Decision need not address whether the alleged violation caused a loss of educational opportunity or significantly interfered with the parent’s participation in the IEP process. 27. Hence, while the IEP contained some information about Student’s present levels of performance, the absence of some details constituted a technical violation of the statutes. However, Student failed to establish that this violation denied him a FAPE. Student’s teachers and speech therapist established that they were familiar with Student’s needs from working with him in the past and seeing him occasionally in fall 2003, and therefore were able to make knowledgeable recommendations about his proposed program. There was no evidence regarding how the lack of information caused Student to lose educational opportunity or significantly interfered with his parent’s right to participate in the IEP process. 28. During the time period at issue, the law provided that special education pupils must be reassessed every three years or more frequently, if conditions warrant, or if the pupil’s parent or teacher requests a new assessment. A pupil must be assessed in all areas related to his or her suspected disability. As determined in Factual Finding 3, District staff conducted academic testing of Student in September 2002, as part of his triennial reassessment. The evidence did not establish that conditions warranted reassessment in November 2003, and Student’s mother did not request reassessment. 30. There was no testimony, documentary evidence, or argument regarding how the November 13, 2003 goals were inadequate, or how any alleged inadequacy in the goals denied Student educational opportunity or significantly interfered with the parent’s participation in the IEP process. Hence, Student failed to establish that the goals denied him a FAPE. 31. Student’s Complaint contends generally that the District’s offer and provision of speech-language services was not designed to address his needs in the areas of dysfluency, and expressive, receptive and pragmatic language skills; however, at hearing the only evidence and argument concerned the November 2003 change from direct speech therapy services to consultation. Student had moderate to severe speech dysfluency, wherein he exhibited stuttering and some secondary stuttering characteristics, and had received speech-language therapy throughout his years of attendance at public schools. Pursuant to the October 2002 and May 2003 IEPs, the District offered Student three sessions per month of direct speech-language therapy. However, as of November 13, 2003, he had attended only two speech sessions since the beginning of the school year. 32. Because of Student’s frequent absences from school, at the November 2003 IEP the District offered only speech-language consultation, instead of direct therapy. District speech-language pathologist Lisa Fox established that, because of Student’s truancy problem, Student needed to maximize his attendance at his classes and therefore should not leave class to attend speech therapy. The team agreed that speech therapy would resume once Student had returned to regular and consistent school attendance. Given Student’s frequent absences from school, being pulled out of academic classes to attend speech therapy no longer facilitated his overall educational needs. Moreover, because Student already knew from years of speech therapy what strategies to use to avoid stuttering, this “therapeutic pause” in direct speech therapy would only minimally impact his ability to improve his speech fluency. Ms. Fox was a credible and persuasive witness, and there was no evidence to the contrary regarding this issue. Accordingly, the November 2003 offer of speech consultation instead of direct therapy did not constitute a denial of FAPE. 33. Even if this Decision had determined that the District denied Student a FAPE, the reimbursement sought by Student’s parent could not be awarded in full, if any award were made. First, some evidence regarding the appropriateness of the private placements was problematic; in particular, there was very little evidence regarding the appropriateness of the CEDU placement, and none of the private placements addressed Student’s needs in the area of speech and dysfluency. However, the greater problem is that, for the entire length of Student’s attendance at the private schools, the parent failed to notify the District of her intent to seek reimbursement from the District for Student’s private placements. The purpose of the notice requirement is to give public school districts the opportunity to provide FAPE before a child leaves public school and enrolls in private school. [Citations omitted.] Once a child’s parents have unilaterally removed the child from public school, subsequent notice almost a year after removal does little good. 11. California Education Code section 56341 and Code of Federal Regulations, title 34, section 300.344 identify the required members of an IEP team. Education Code section 56341 provides that, for a pupil suspected of having a learning disability, at least one member of the IEP team shall be qualified to conduct individual diagnostic examinations of children, such as a school psychologist, speech-language pathologist, or remedial reading teacher. (Ed. Code, § 56341, subd. (c).) However, section 300.540 of title 34 of the Code of Federal Regulations clarifies that a school psychologist’s attendance is required only when determining eligibility under the SLD category. Issue 1(a): Did the District deny Student a free appropriate public education (FAPE) from July 19, 2003, through the 2005-2006 school year by failing to assess Student’s behavioral needs? 15. Based on Factual Findings 16-17, and Legal Conclusions 3, 9, and 12 through 14, the Student did not establish that the District denied him a FAPE on this basis. Issue 1(b): Did the District deny Student a free appropriate public education (FAPE) from July 19, 2003, through the 2005-2006 school year by failing to meet Student’s unique needs for behavioral and mental health services? 16. Based on Factual Findings 18-22 and Legal Conclusions 3, 5-8, 13, and 14, the Student did not establish that the District denied him a FAPE on this basis. Issue 2(a): Did the District deny Student a FAPE from November 12, 2003, through the 2005-2006 school year by failing to have a school psychologist attend the November 12, 2003 IEP team meeting? 17. Based on Factual Findings 23-25 and Legal Conclusions 3, 4, 11, and 14, the Student did not establish that the District denied him a FAPE on this basis. Issue 2(b): Did the District deny Student a FAPE from November 12, 2003, through the 2005-2006 school year by failing to assess Student in the areas of behavior, speech and language, and academics? 18. Based on Factual Findings 16-17 and 28, and Legal Conclusions 9, 12, and 14, the Student did not establish that the District denied him a FAPE on this basis. Issue 2(c): Did the District deny Student a FAPE from November 12, 2003, through the 2005-2006 school year by failing to provide adequate present levels of performance in the November 12, 2003 IEP in the areas of behavior, speech and language, and academics, which denied Student educational opportunity and his parent an opportunity to participate in the decision-making process? 19. Based on Factual Findings 26-27 and Legal Conclusions 3, 4, 10, and 14, the Student did not establish that the District denied him a FAPE on this basis. Issue 2(d): Did the District deny Student a FAPE from November 12, 2003, through the 2005-2006 school year by failing to include adequate goals in the November 12, 2003 IEP in the areas of behavior, speech and language, academics, and mental health, which denied Student educational opportunity and his parent an opportunity to participate in the decision-making process? 20. Based on Factual Findings 29-30 and Legal Conclusions 3-8, 10, and 14, the Student did not establish that the District denied him a FAPE on this basis. Issue 2(e): Did the District deny Student a FAPE from November 12, 2003, through the 2005-2006 school year by failing to meet Student’s unique speech and language needs in the areas of dysfluency, and expressive, receptive and pragmatic language skills? 21. Based on Factual Findings 31-32 and Legal Conclusions 3, 5-8, and 14, the Student did not establish that the District denied him a FAPE on this basis. Issue 3: If the District denied Student a FAPE, is the Student’s mother entitled to reimbursement for private school placements from March 2004 to June 2006, and related transportation costs? 22. Based on Factual Findings 8-35 and Legal Conclusions 3-16, the Student’s mother is not entitled to reimbursement for the private school placements or related transportation costs.